﻿ Internet Archaeol. 4. New technology meets old: a review of the Multimedia companion to The Middle Palaeolithic site of Combe-Capelle Bas (France), by H. L. Dibble and S. P. McPherron. CD-Rom system requirements: Windows 3.0 or higher, minimum 640 x 480 resolution with 256 colours. It is quite ironic that, as an archaeologist concerned with ancient (lithic) technology, I should be so ignorant about recent advances in modern technology, particularly in the field of information technology which is having such a profound effect on the nature of academic disciplines. It was therefore with some trepidation that I undertook to review the CD-Rom companion to a recent publication in Palaeolithic archaeology (Dibble, H. L. and Lenoir, M. 1996), and user-friendliness, I thought, would be the primary criterion on which, for me, the CD would stand or fall. 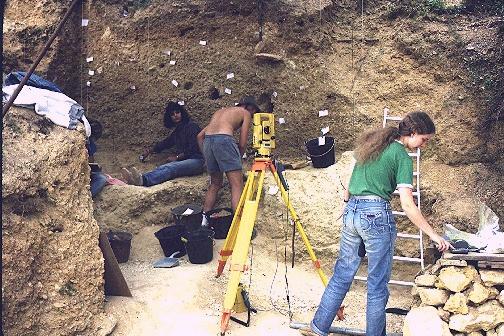 As with many of the river valleys of the dissected limestone plateaux of south-west France, the valley of the Couze, a tributary of the Dordogne, has received the attention of Palaeolithic archaeologists for well over a century. The valley contains a number of Lower and Middle Palaeolithic open sites, as well as a number of major Upper Palaeolithic sites including La Gravette, eponymous site of the Gravettian technocomplex. Combe-Capelle Bas is one of four locales at Combe-Capelle, each of which have received varying attention over the last hundred years, comprising the Roc de Combe-Capelle which contained an Upper Palaeolithic sequence, the Haute de Combe-Capelle (or Abri Peyrony) which yielded a Mousterian of Acheulian Tradition collection, and the Plateau de Rufet which contained Lower, Middle and Upper Palaeolithic deposits. The new excavations at Combe-Capelle Bas are one of a number where American archaeologists have been involved admirably in conducting new excavations at old sites, in collaboration in this case with French colleagues (similar projects have also been undertaken at La Quina in the Charente, and Tabun and Kebara caves in the Near East). Dibble and Lenoir are to be congratulated for addressing the problems and ambiguities of the original excavations, and for bringing an important site to the forefront of modern research into the Middle Palaeolithic in its broadest sense. As early as the late 19th century, the slope deposits of Combe-Capelle Bas were known to be rich in Middle Palaeolithic material, and received the attention of Henri Ami, who excavated there until his death in 1931. Subsequently Denis Peyrony (1925) concluded the excavations and published a brief report on the stratigraphy and archaeology, and Maurice Bourgon described the flint industries. Virtually no fauna was found, and no evidence of structures or hearths. Virtually all of the artefacts were made on the flint available at the site, and the industries as described by Bourgon seemed to include the Ferrassie and Quina variants of the Mousterian. 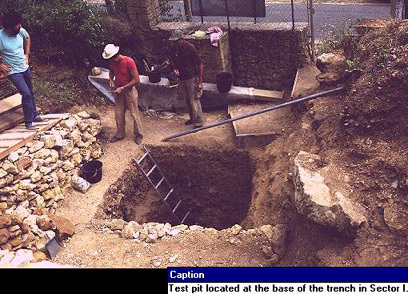 As with many old excavations, the original investigations into Combe Capelle Bas - at least those of Ami - had been selective both in the material that was retained as 'representative' of the supposed assemblages present at the site, and in the information that was recorded as regards geological formation and therefore context of the archaeological materials. In particular, it is not clear from the records of these early excavations whether or not the deposits are in situ. Dibble and Lenoir's rationale for reinvestigating the site was to clarify such ambiguities and, more specifically, to assess the potential effects of raw material availability on Mousterian lithic assemblage variability, a major research priority at present and one in which Dibble has been particularly influential over the past fifteen years or so. The site is important in this respect as good quality flint outcrops on the site, and it can therefore be regarded as a direct source of raw material. Clarifying both the nature of the geological matrices and establishing a representative sample of the Mousterian variants through the sequence are two interlinked problems: both, as I shall discuss below, are crucial to the model of assemblage variability that Dibble proposes. To Dibble (e.g. 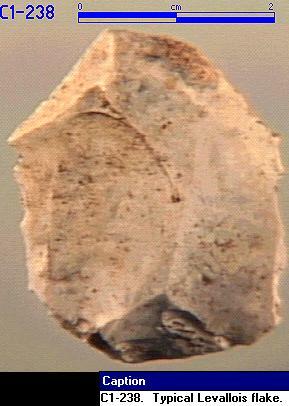 1995), the Mousterian variants apparently represented at Combe Capelle Bas - that is, those relatively rich in scrapers, whether produced on Levallois flakes (Ferrassie variant) or non-Levallois flakes (Quina) - reflect a relatively intense, economic use of lithic raw materials. In addition, the types of scrapers characteristic of these variants (notably certain forms of scraper) represent the end products of the intensive resharpening of flakes in the course of their use. One might expect such phenomena in situations where materials are unavailable locally or where access is difficult, but their position here, that is, actually on top of a lithic autobank, where one might expect a more profligate use, is very surprising, and would seem to contradict Dibble's model. Why work lithic flakes down until they are barely useable if raw material is quite literally eroding out from under one's feet? 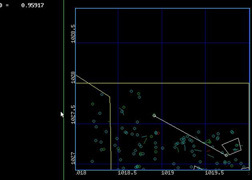 The relevance of such aspects of the site to Dibble's explanation of Mousterian variability is really the raison d'être of the reinvestigation, and the book which the CD-Rom accompanies suffers accordingly: there is no mention whether any fauna was found in the new excavations, and the poor quality illustrations seem to have been selected for their relevance to Dibble's model rather than to give an overall impression of the assemblages. There is also a surprising lack of quantification of the chaînes opératoires of the various assemblages. In this, the CD-Rom provides an interesting contrast, as I will discuss below. It is clear from the book, but not from the CD-Rom, that many of the levels at Combe Capelle Bas have suffered from post-depositional movement through solifluction, debris flow or slopewash, but the various specialists disagree over the extent to which these processes have affected the integrity of the archaeological deposits. This is once again crucial to Dibble's model, as it predicts that tool production and use will become more economic through time due to an hypothesised diminution of raw material available at source, which will be reflected in more economical use of raw materials and therefore more reduced assemblages in the upper levels. The various contributors on the nature of deposition at the site agree that three major, separate depositional phases are present, which to Kluskens represent relatively discrete sequences on distinct cryoplanation terraces on the basis of artefact orientation, but to the sedimentologists Texier and Bertran represent sedimentation through high velocity mud flows. The latter conclude that the archaeological materials are therefore not in situ and are heavily mixed, and urge caution in the interpretation of the industries. Dibble chooses to ignore this advice, believing on the basis of implement edge damage and wear that no significant high energy movement was responsible for the deposition of the artefacts. Dibble's resulting technological analysis will be familiar to researchers of the Middle Palaeolithic. The immediately available flint makes up 93% of the flints in the various assemblages - that's not surprising given that material is abundant on site - and despite some technological differences between these and flints brought in from more distant sources there is no typological difference between the two materials. Dibble suggests that there are technological changes over time through the Combe-Capelle Bas sequences, reflecting increasingly economic use of diminishing raw material manifested in more intensive core reduction. Assuming that the sequences do have a reliable integrity, Dibble demonstrates this technological change convincingly. It is, of course, contingent upon making that assumption, which is tenuous to say the least. Texier and Bertran (1995) have recently made a fuller case elsewhere (in the journal Paléo) that the archaeological materials have been redeposited and mixed, and in this sense one wonders how 'high energy' some degree of slope wash - enough to mix deposits of different ages thoroughly - need be. One does come away with the feeling that Dibble's stand is not so much on sharp edges as on thin ice. This aside, the demonstration of some kind of sequence is the major contribution of the book, and reveals the variety of ways with which Neanderthals could cope with raw material stress. These have also been demonstrated recently, for example, by S. Kuhn (1995) in the Italian Pontinian, a variety of the Mousterian made on small pebbles. To me, the message of these studies is that Neanderthals responded to raw material stress essentially by producing more useable flakes per core, rather than by intensively resharpening flakes in such a way as to take tools across scraper categories. The message is simple: if material is scarce, make more knives out of what there is instead of resharpening one down until it is too small to hold and use effectively. Dibble's discussion of this latter aspect of the industries, as with his previous work on scraper reduction, is unconvincing. He is of course right to emphasise the role of collector bias which has resulted in the over-representation of scrapers at the site, but he fails to explain why supposedly heavily reduced scraper forms are present in some number in any case. Ultimately, of course, such factors will affect exactly how we classify these assemblages: if scrapers are over-represented simply as a result of collector bias then we cannot necessarily call them Ferrassie or Quina variants. Perhaps they would fit better into the more general 'Typical Mousterian' reflecting a lesser importance of scrapers in relation to other tool forms (such as the notched and denticulated pieces recovered in some quantity from Ami's spoil heap!) and therefore more in keepng with Dibble's expectations. Until we can resolve the geology - if that is possible - we will simply never know. Herein lies the weakness of the book and CD-Rom: both necessarily take the integrity of the sequences on trust. 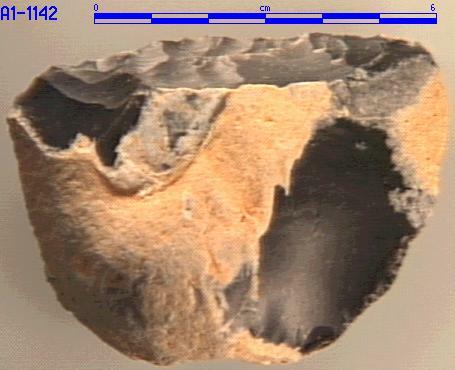 As Dibble himself notes, there is no doubt that exploitation of raw material was a primary activity at Combe-Capelle Bas but that this probably took place in the context of other activities, as presumably reflected by the range of lithic tool forms in each assemblage. The technological response to this material changed over time, and Dibble and Lenoir convincingly place this in the context of the raw material effects on technology. I found myself forgetting these weaknesses when I started exploring the CD-Rom, which I found both pleasurable and instructive. It contains two interactive databases relevant to the site, one essentially a 'slide show' of the site, previous excavators and various lithic flake, core and tool forms excavated by the Dibble/Lenoir team, and the other an interactive plan/section recording archive. The two are, to some extent, interactive, in that, for example, isolating a find on a given plan, one may call up both a digitised image of the object as well as information regarding its morphometric properties. This will no doubt be eagerly consumed by lithic specialists, and certainly kept me entertained for hours. In addition to this a site location map and plan are only an icon away, from points on which one may call up images from the slideshow that portray the selected location. Three slide shows are available. The first presents an introduction to the site in a series of 13 images which certainly succeed in conveying the location of the site and the nature of the environment and terrain. A second records the nature of the new excavations in 25 images, from which one can grasp the nature of relevant geological areas and deposits as well as understand the methods of excavation and recording. A final slideshow is perhaps the most useful of all: a selection of five categories of artefacts (Levallois flakes, scrapers, notched tools, cores and a general category for tools of much lesser frequency) in a total of 126 images. Each artefact is depicted alongside relevant information that allows it to be placed in its spatial and sequential position at a glance. One is instantly able to gain an understanding of the nature of the raw material available at the site which cannot by conveyed by line drawings such as those that appear in the book. Although the images are ordered sequentially as a slideshow, it is also possible to call up images of finds from a particular gridsquare or level on the plan database, or even by trait (e.g. a sequence of all Levallois flakes with facetted platforms for which there are images, or all notched pieces from the excavation as a whole) and such fluidity of information retrieval is certainly one of the main strengths of the CD-Rom system. Such flexibility is also a strength of the plot database, in which plans and sections of the excavations may be called up at varying scales, on which differing categories of archaeological materials are represented by colour codes. Simply clicking upon one such artefact will call up information as to its identity and classification, size, material - even who excavated it and on what day. All plans and sections can be redrawn at a variety of scales, rotated, sectioned at points the viewer determines, and because of this it is difficult to imagine any other form of information technology that can allow one to grasp the nature of an excavated site in its entirety in such a clear and interactive way. It certainly beats line drawn plans. It is perhaps in the relationship of finds to each other that the power of the CD-Rom is most apparent. 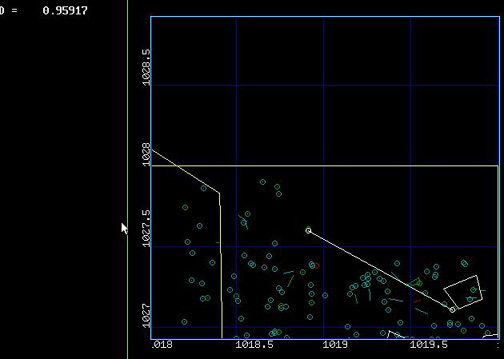 In addition to identifying the nature of finds as they appear on plans and sections, tools allow their location to be established in terms of x and y coordinates and the distance between two artefacts by simple use of the mouse. The obvious advantages of this for the analysis of knapping scatters and the spatial patterning of discarded materials (structures latentes in the terminology of Leroi-Gourhan, 1972) is clear. In all I found this a most entertaining, informative and, most importantly, powerful tool for the archaeologist, and I have no hesitation in commending this form of data recording and presentation. But a database is only as good as the site it records, so how well does it fit with the nature of Combe Capelle Bas itself? The usefulness of information relates solely to its integrity in the field: if it is mixed through downslope movement then it is not worth constructing databases on it as this will not repay effort. I can imagine that such a CD-Rom as Dibble and McPherron have produced will be an immensely powerful tool for recording and analysing fine-grained data on in situ sites - preserved knapping scatters being the obvious phenomena that come to mind - and I have no doubt that this is the proverbial 'way forward'. But, given the reservations I have expressed about the site above, for Combe Capelle Bas this is doubtful. The book is clearly not an excavation report: it is a specific use of excavated material with the aim of testing Dibble's model of assemblage variability. It is quite ironic that the CD-Rom - which is intended as a support for the book - ends up providing a more balanced view of the archaeology excavated by the new investigations. Perhaps in the case of Combe Capelle Bas this is its main strength. Dibble, H. L. 1995 Middle Palaeolithic scraper reduction: background, clarification, and review of the evidence to date Journal of Archaeological Method and Theory 2 (4), 299-368. 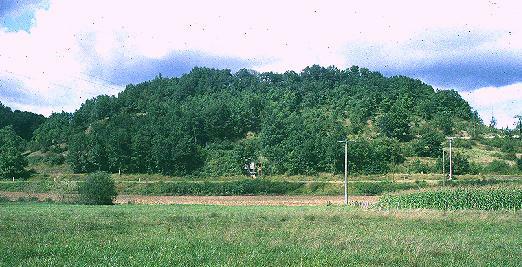 Dibble, H. L. and Lenoir, M. 1996 The Middle Palaeolithic Site of Combe Capelle Bas. University of Pennsylvania Press. Kuhn, S. 1995 Mousterian Lithic Technology and Raw Material Economy: A Case Study. Princeton University Press. Leroi-Gourhan, A. and Brézillon, M. 1972 Fouilles de Pincevent. Essai d'Analyse Ethnographique d'un Habitat Magdalénien (La Section 36). Gallia Préhistoire supplement VIII. Peyrony, D. 1925 Le gisement préhistorique du Haute de Combe Capelle. Moustérien de Tradition Acheuléene. Association française pour l'Avancement des Sciences 49 484-487. Texier, J-P. and Bertran, P. 1995 Le depots des site Moustérian de Combe-Capelle Bas (Dordogne): Leur signification dynamquie et paléoenvironmentale. Paléo 7 27-49.